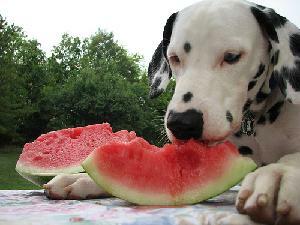 Just like humans, your pet can suffer from heat exhaustion and heat stroke. Make sure they have plenty of water to drink, abundance of shade and limit their time outside during the hottest parts of the day. Heat can also effect the paws of your pets, so limit walks to early morning or late evening and always test the concrete with your own bare feet first. Pets can get sunburned too! Depending on your pets coloring, they may need sunscreen on their noses or the tips of their ears. Please consult Avery Animal Hospital on what type of sunscreen is safe for your pet and only use sunscreens created specifically for animals. During the summer, outbreaks of fleas and ticks can increase. Please use only flea and tick treatments that have been recommended to you by Avery Animal Hospital. This is a medical treatment and the quality of the product used is very important. If you have any travel plans with your pet during the summer, make sure to research and prepare. Airlines may have travel restrictions based on the temperature of the cargo department. Visit the Humane Society of the United States web site for information on traveling with your pet. If you or your neighbors have a pool, be careful to monitor the access to the pool. 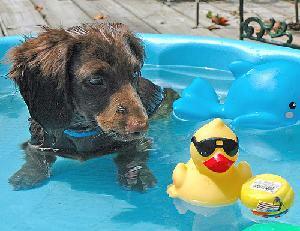 Make sure that your pets are not left unsupervised around water. If play time with your pet includes the pool, make sure to remove all toys or balls from the pool after playing, so your animal doesn't try to get them when you are not around. NEVER LEAVE YOUR PET IN THE CAR!! According to the Humane Society of the United States, â€œDogs and cats can't perspire and can only dispel heat by panting and through the pads of their feet. Pets who are left in hot cars even briefly can suffer from heat exhaustion, heat stroke, brain damage, and can even die. There is no excuse for an animal left in a vehicle. If you are running errands, leave your pets at home; if your pet is in the car already, drop them off at home before doing your shopping. Also, animals should not ride in the back of trucks.